It has always been a dream of mine to own and work on a small farm. We would have a big vegetable garden and flower beds that had flowers so big they would have to be propped up on one side. All the animals would be pets but at the same time have a purpose. Goats for their milk, chickens for their eggs, sheep because they are sweet and friendly. 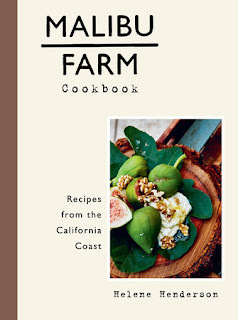 This is what the Malibu farm cookbook is all about. Helene Henderson a Swedish native came here with $500 to her name and big dreams. She worked in various occupations but in the end found herself working in restaurant kitchens. She met and married her surfer husband who wanted to be near the beach. Together they found a 2 acre piece of land and eventually started gardens, vineyards and bee hives. They also acquired an assortment of farm animals. Helene eventually opened the Malibu Farm restaurant. It is located at the end of the pier in Malibu, California. Her restaurant has endless views of the Pacific ocean and serves fresh seasonal food. The recipes from her cookbook come from here as well from her catering and private chef jobs. 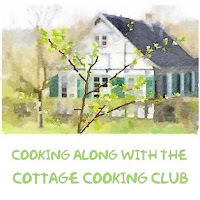 As you page through her cookbook you come across recipes like coconut granola, farm chickpea hummus, broccoli mashed potatoes, shrimp with farro and white beans and various simple cakes. I prepared the rosemary whole wheat olive oil cake that was topped with whipped cream and black berries. The cake was moist and not too sweet. I was surprised how well rosemary and blackberries tasted together. They complimented each other perfectly. It was delicious! The recipes in this book are easy to make and are Helene’s “tried and True”. Recipes that you would expect coming from the California coast from someone who really cares. The story behind it all is very inspiring. Malibu Farm is an amazing cookbook and would make a wonderful addition to any cookbook collection. Hi Dena, dreamlike is right, it's on the list. Sounds great! ow nice to fulfill your dreams! Haven't yet been to Malibu-but when I get there this restaurant will be on my list. And now I have one more book to add to the other list! Hi Abbe, it's so funny....seems like we all have similar lists. Sounds like a great book to add to my collection! On the list! Hi David, it's one of my favorites so far. A great read too! Hi Tandy, growing up I had a little lamb named Sweet Pea and she was a pet. I will definitely come check this place again with some other awesome friends of mine! It's one of best places for having a good time with a joyous feeling. And venues in NYC fascinates me with their great style and vibrant atmosphere. Hi Longwell, sounds like you have been there, how cool is that. Take care! Hi Kim, the combo was amazing, both in smells and in flavor. What a lovely dream! I bet this is a special restaurant and the recipes delicious. I love a good success story! Hi Tricia, it sounds like a wonderful place to me as well, can't wait to visit. It sounds like a great book. I have never tried the combo of rosemary and blackberry..the cake turned out really beautiful. Thanks Angie, it was not too sweet and delicious! The blend of rosemary, olive oil and blackberry ... seems delicious ! Thanks Karen, they all worked together very well. Yum, just hearing your positive words leaves knowing all the recipes are going to be delicious! Thanks Pam, it is such a beautiful book. Hi Charlie, I've never been either but it's now on the list. Yummy! I have never been to Mailbu but sounds like an amazing place. This book sounds amazing, Cheri. Thanks Anu, I've never been there either, but will have to visit now. I'd love to have a farm, too!! Fresh eggs?! yes please! Wouldn't that be cool Kylee, fresh eggs and honey, yes, yes! I don't think I've combined blackberries with rosemary, but it's interesting how well many berries will take to some herbs. Such fun to play in the kitchen, isn't it? This sounds like a terrific book -- thanks for the heads up on it. Thanks John, looks like there is more to Malibu than what we see on TV. This sounds like a cookbook I need to own, and that cake looks fabulous! Thanks Sara, it is one of my new favorites now. Hi Moumita, you in-law's home sounds like a slice of heaven. I can see why it is so wonderful there. What a great dream to came to full vision. I know it must be heavenly to be on their farm. Happy Cinco de Mayo Cheri and also Mother's Day. Thanks Linda, pretty cool, right. 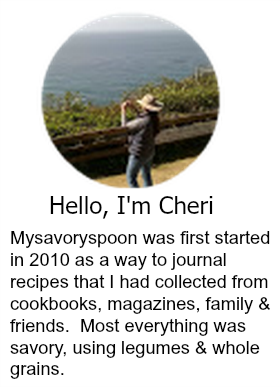 Oh Cheri, what a wonderful book you have shared with us on Cookbook Wedesday!!! I could "hear" the excitement in your voice for the dream and the realty. You keep on dreaming dear Cheri:) Who knows one day you may just have that farm of yours! I love the sounds of this book. It's a dream of mine too and to imagine her dream landed her on the beach! I have a blogging for books to post up too so I might have to request this book! Oh, I just know I would love this book! I've wanted a farm too, Cheri, and have often pondered life in Costa Rica to do it. We will see what the future brings but in the meantime I want to get this book AND go to the restaurant. Love this! My dream! Some days I even wonder if chickens would fit in my little backyard!! What a great story.